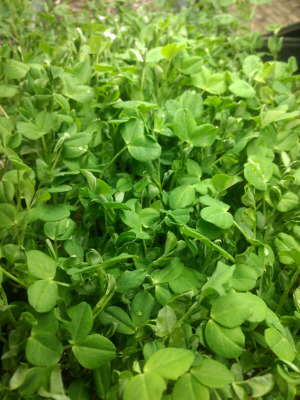 1 oz of freshly cut pea shoots. These taste just like spring peas! A great treat to add to any dish.